Home Featured BETTY & VERONICA #1 is three weeks away – have you reserved your copy? Best friends forever or arch-foes for life? So many questions. But fear not – answers are less than three weeks away! The next major New Riverdale hit series is coming your way courtesy of writer/artist Adam Hughes – and BETTY & VERONICA #1 is one comic launch you do not want to miss! For your eyes only, here’s a first look at interior artwork from Hughes featuring the gang heading to Pop’s Chocklit Shoppe after hearing the news that it’s being taken over by a major coffee company! BETTY & VERONICA will focus on the friendship between the two girls and less on ARCHIE. He has his own series, after all, by Mark Waid and Veronica Fish that’s out in comic shops every month. But you’re already reading that one, right? “BETTY & VERONICA is about the aspects of their lives that don’t revolve around waffle-head. They’re complex characters on their own, and they don’t need the boys around to be defined,” says writer/artist Adam Hughes. 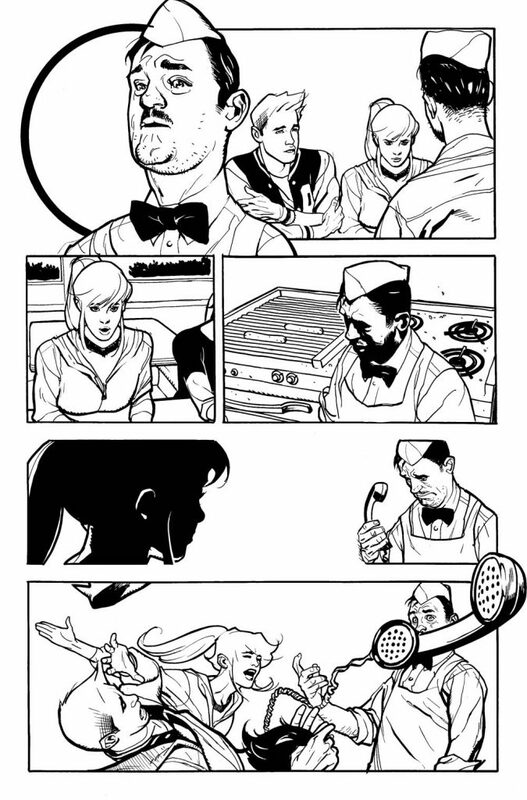 Hughes is taking inspiration from comedies such as ‘Parks and Recreation’ and classic films like ‘Back to the Future’ and ‘Jaws’ for the story, while also finding his groove on drawing his first comic series featuring these two iconic characters. What can you do to ensure your visit to Riverdale? That’s easy! You can reach out to your local comic book shop today and let them know that you want to reserve BETTY & VERONICA #1 when it arrives on July 20th! To find a comic book store near you, use the Comic Shop Locator Service or call 1-888-COMIC-BOOK. Not sure which cover you want? View the full gallery of variant covers on our website and order your complete set today! Don’t have a comic shop nearby? 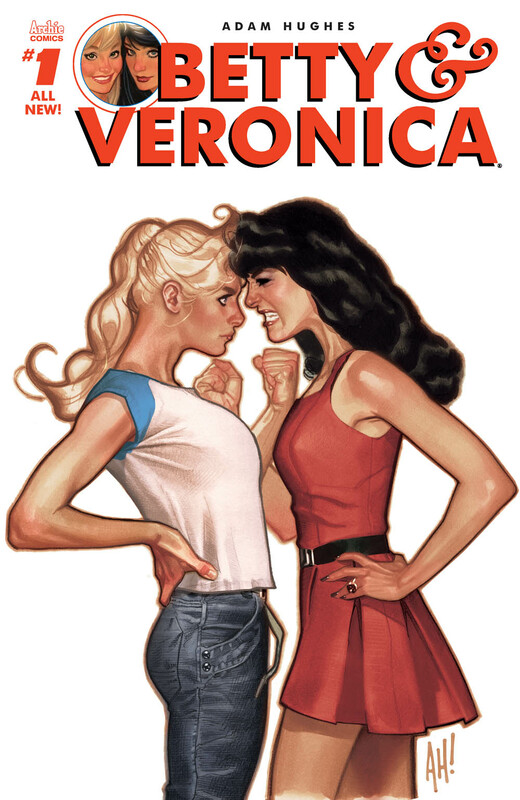 You can also get BETTY & VERONICA digitally via the Archie App or pre-order it on ComiXology! 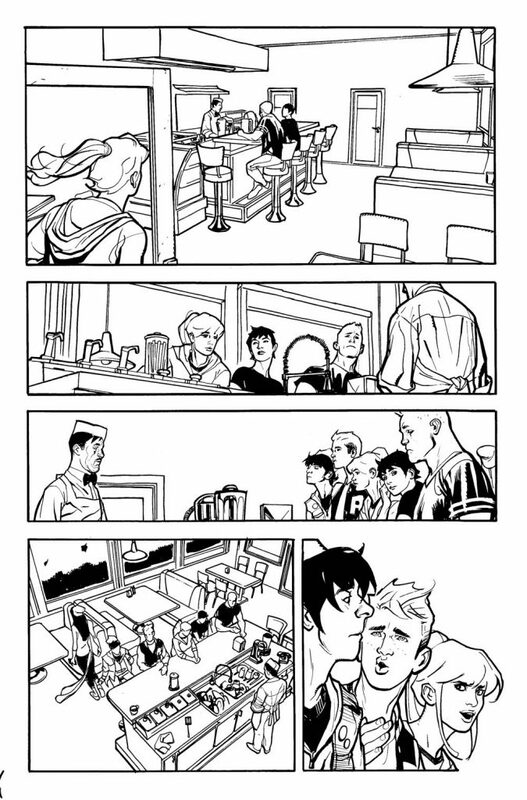 adam hughes, betty and veronica, First Look, new riverdale. Bookmark. 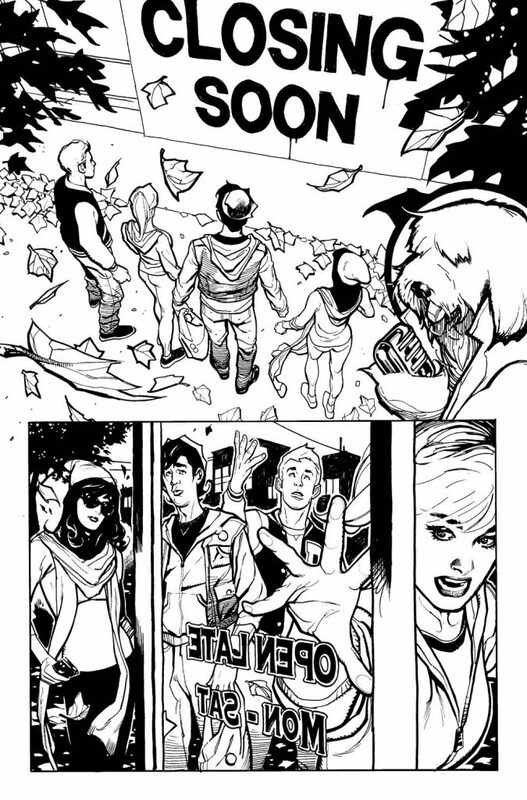 Take a first look inside the new Archie Comics on sale 6/29/16, including WORLDS UNITE VOL. 1!